At long last, we're finally getting the first trailer for director Neil Marshall's anticipated Hellboy reboot. So if you've been itching to see Stranger Things star David Harbour emerge as the titular hero, your moment is now. Down below, you can watch the newly revealed Hellboy trailer, which has Billy Idol's "Mony Mony" blasting away as its soundtrack. And we have to say, it all looks quite awesome. Marshall's Hellboy arrives in theatres next year on April 12. 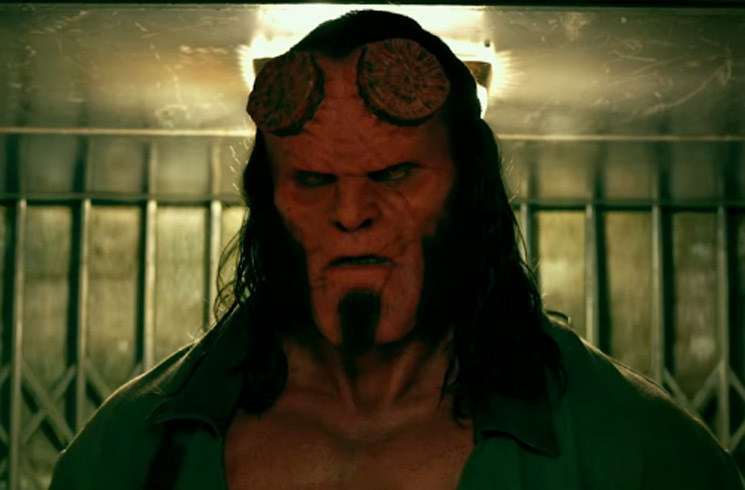 It comes in the wake of two previous Hellboy films, which were directed by Guillermo del Toro and starred Ron Perlman. For the unfamiliar, Marshall is best known for helming some of Game of Thrones and Westworld's most epic episodes, as well as cult horror classic The Descent and fantasy Centurion.